Batman Eternal #9 finds The Caped Crusader leaving Gotham City for a time. With the GCPD out for his head, Batman decides to head to Hong Kong and track down the crime bosses who assisted Carmine Falcone during his five years in exile. He is assisted in this endeavor by Batman Incorporate's agent in Japan. At the same time back in Gotham, Catwoman begins planning her own strike against Falcone. After reading this issue, I want to see more comics with the Japanese Batman. 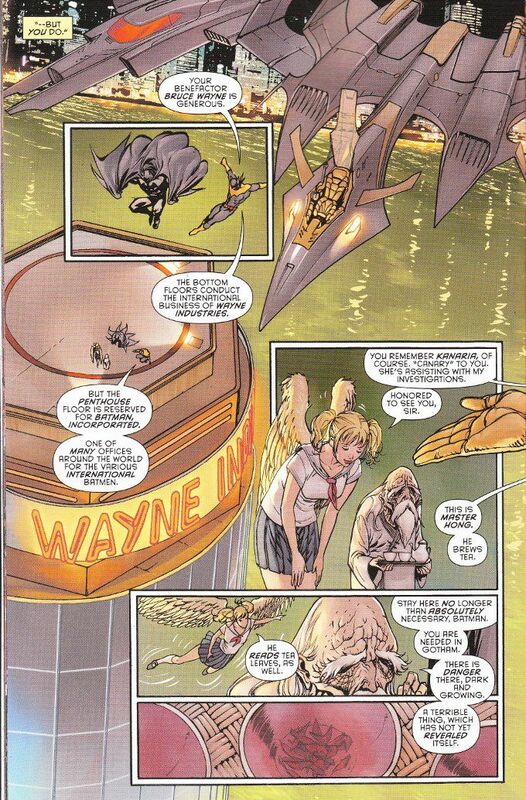 It's just such a cool concept to have a Batman flying around Tokyo and that his sidekick should be a flying schoolgirl called Canary. I know, I know... just get Dinah in there for an issue to give her some martial arts training and we'll have something awesome. I slammed Guillem March's artwork pretty hard in my review of Catwoman #1 but there's nothing at all bad about it here. 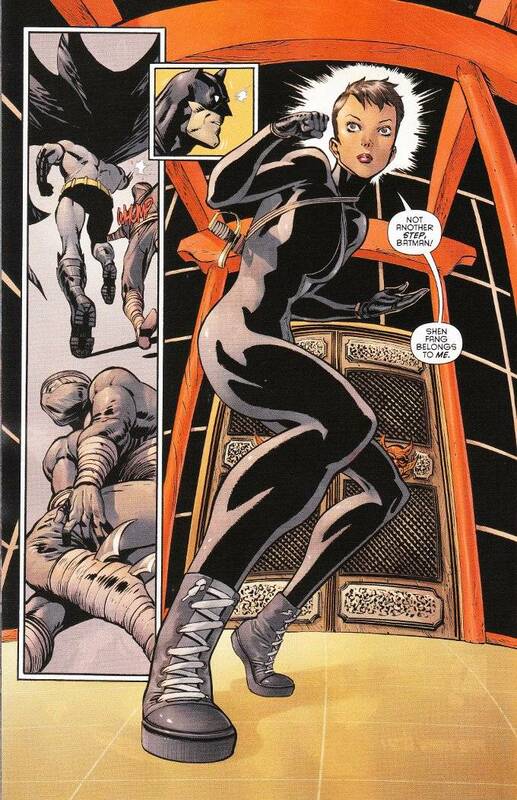 Perhaps the previous focus on Selina Kyle's anatomy was due to the script and not the wandering eye of the artist? Regardless, there is no odd male-gaze in the artwork in this issue despite the main female characters being clad in skin tight leather or school girl uniforms and the fight choreography is well played out. Even the colors of Tomeu Morey don't seem so grating in this issue, where the oddly bright coloration actually fits the setting.